Belfast is charging up the ranks for top city destinations to visit in Europe. The city has blossomed in the last number of years and its development of new restaurants, bars and hotels has established a bustling city centre with a lively and welcoming social setting. Lonely Planet named Belfast as the best place to visit in 2018, the cities reputation has grown over the last number of years and was recognised in 2016 being crowned the ‘Best UK City Award’ (Guardian and Observer Travel Awards 2016). The city has so much to offer being home to the Titanic Museum (World’s Leading Tourist Attraction 2016), Game of Thrones Tours (you may be lucky and meet some cast members in some bars across the city) and a range of historical sightseeing; it really is a city to visit. 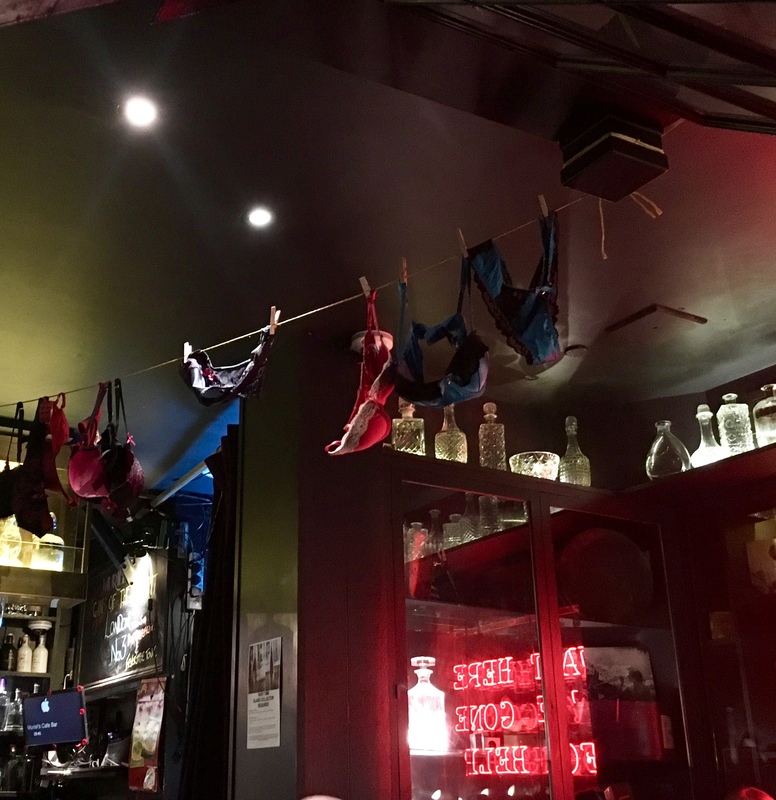 A quirky, cosy bar; Muriel has her underwear on display for all you lucky punters out there! With washing lines suspended across the ceiling, her bras are lowly dangling for all to see, and her trinkets are locked up in glass casing that fill the walls. It’s all very weird and wonderful, transporting you into a world of velvet chairs, dim lighting, and eccentric paraphernalia, the atmosphere is friendly and warming, and there is always a diverse range of people that visit so you will never feel out of place. Most important of all Muriel’s Café Bar offers up an absolutely amazing collection of gin, housing bottles from everywhere and anywhere, and hosting some great local choices; they always have the newest releases and house the best selection. The bar staff are knowledgeable and extremely helpful, but if you find there is just too much to choose from they offer up a range of gin flights which are great value. This is a must visit! 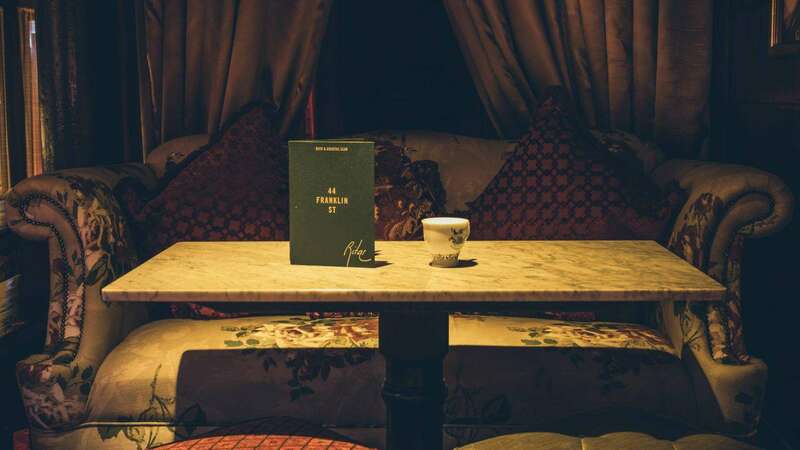 One of my favourite bars in Belfast, it is opulent, cosy and packed full of gin delights! Based in the Linen Quarter on Franklin Street, Rita’s has a unique ambience, once you enter the doors which can be found under a glowing red lamp you are transported back in time to a 1940s den. Rita’s is a den of lavish items, a space that radiates luxury, the windows are draped in velvet curtains, the walls are full of picture frames, plush seating, funky tiles, retro worn carpet, dimmed lighting and in the colder months there is a lovely open fire! The music is chilled and offers an eclectic mix of 60’s & 70’s, and there are live acoustic sets on weekends. Now to the most important delights in Rita’s.. the drinks selection, and what a selection it is! Rita is a great Gin lover and offers an array of drinks, her menu offers 7 chapters, which outlines the long list of Gins, Perfect Serves and amazing Gin Cocktails, as well as an extensive list of beers, wines, and other spirit based drinks. The bar holds a great Happy Hour from Sunday – Thursday (5pm – 8pm) offering certain cocktails for £5.95 and Prosecco for £19 a bottle, Rita’s also has a food menu which offers light bites for you to nibble over while sipping over your drinks, soaking up your great surroundings. Really is a must visit spot when in Belfast. Situated in the Cathedral Quarter (an area with a great selection of bars), Bert’s is The Merchant Hotel’s jazz bar, radiating sophisticated speakeasy vibes, transporting guests back to the art-deco era making you feel part of the smooth New York jazz scene. Playing live jazz 7 nights a week and weekend afternoon sessions this is definitely a great place to chill out and enjoy a gin and juice. Hosting a fantastic Irish Gin Menu and a few international offerings this bar offers an extremely chilled atmosphere, just sit with a tasty gin and soak up the relaxing sounds. There is an array of bars around the city that offer great “craic” and plenty of tasty drinks! Belfast is definitely a city that everyone should consider visiting, the bar scene is truly coming alive!